360PDX, LLC - Real Estate Photography - Welcome! Since 2005, we have been providing Portland Metro Area real estate agents & property managers with the photographs that make their listings stand out from the competition. 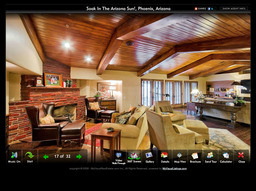 With over 8,000 properties photographed, we provide the experience and tools to make your next listing look its best. Buyers will notice your listings with full screen 360° panoramic scenes, slide show galleries and a complete array of marketing tools including professionally designed flyers, just listed/sold cards and automatic posting to social media sites like Facebook, Twitter & YouTube.